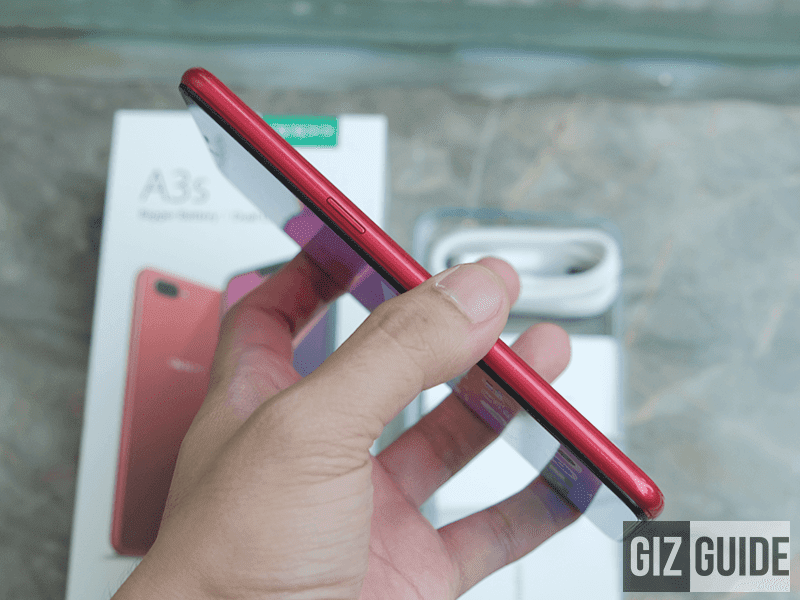 OPPO recently made the A3s official in the Philippines. It's an intriguing smartphone packed with premium looking design, big display with notch, good specs, large battery capacity, and dual cameras for PHP 6,990. Yes, you read that part right. The A3s has all those good traits for just PHP 6,990. Now, let's check if it is worth all the hype. 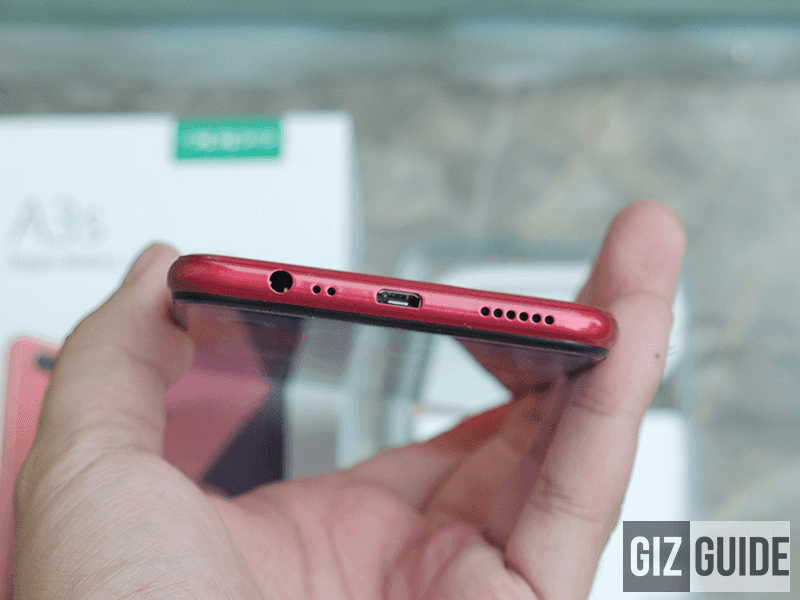 Here's the part 1 of our OPPO A3s review. Disclaimer: This unit was loaned OPPO Philippines for our honest take. It include a 5V/1A USB wall charger, USB Type-A to micro USB data/charging cable, TPU clear case, pre-installed screen protector, and SIM ejector tool. It also has the usual quick and information guides. My only gripe is its charger is only rated at 5V/1A. The device has 4,230mAh of juice. The charging time of this device could be slow though. The OPPO A3s has good build for the price. It is made out of a sturdy plastic build and glass-like acrylic material at the back. In front, it has a 2.5D curved glass display. We just don't know if it has Gorilla Glass on the top. 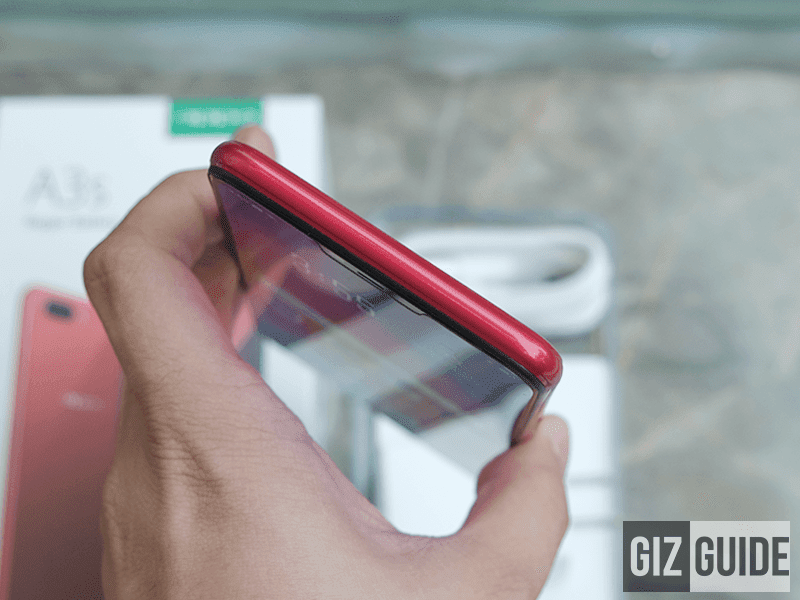 Fortunately, OPPO included a FREE case and screen protector. Use the case as much as possible. But in terms of design, the OPPO A3s is arguably the most beautiful this price point. The glass-like acrylic material at the back and the proper curves it have made it a premium looking device. The red or dark purple paint finish of this phone also looks cool. Really good design for the price! The camera protrusion is also small. If the case is on, the camera bump not noticeable anymore. The bezels are also very slim for the price. The chin bezel is a bit thick, but it is still far from thick versus other similarly priced phones. The notch is quite small too. However, you cannot hide it. Fortunately, the notch is not noticeable in most games. There's nothing on top. Below, it has a single speaker, micro USB port, two holes for the microphone, and 3.5 mm headphone jack. At left, it has the triple slots (dual nano SIM and microSD card slot) and volume up and down keys. At right, you'll see the power button. Ergonomically, the OPPO A3 is just fine to hold. It is not that slippery even without the case. It is a bit prone to fingerprint smudges. 1. Like what we stated above, the A3s is really beautiful for the price. It is also one of the very few with a big 6.2-inch screen. It is also the most affordable with a notched display in the Philippines right now. It only has an HD+ resolution though. But, the brightness and colors are quite good overall. 2. The internals inside are nice too. It has a Snapdragon 450 octa-core processor with Adreno 506 GPU. It is the same chipset found on other phones with other bang for the buck phones under PHP 10K. It only has 2GB RAM and 16GB ROM. The RAM could have been bigger though. The free storage left is around 7GB only. Fortunately, you can expand the storage with the use of a microSD card. But, this phone has massive 4,230mAh battery. 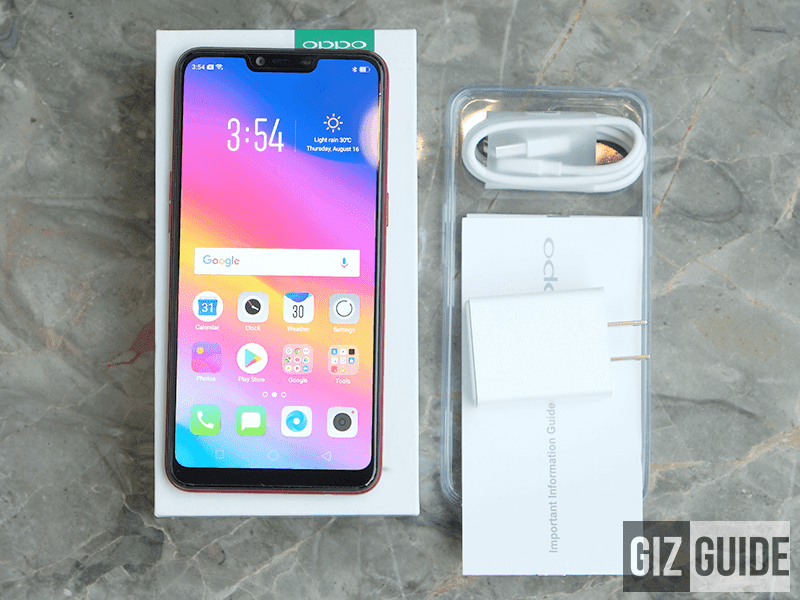 According to OPPO, they added that large battery for non-stop gaming and entertainment. 3. It loads with Android 8.1 Oreo OS with ColorOS 5.1 out of the box. 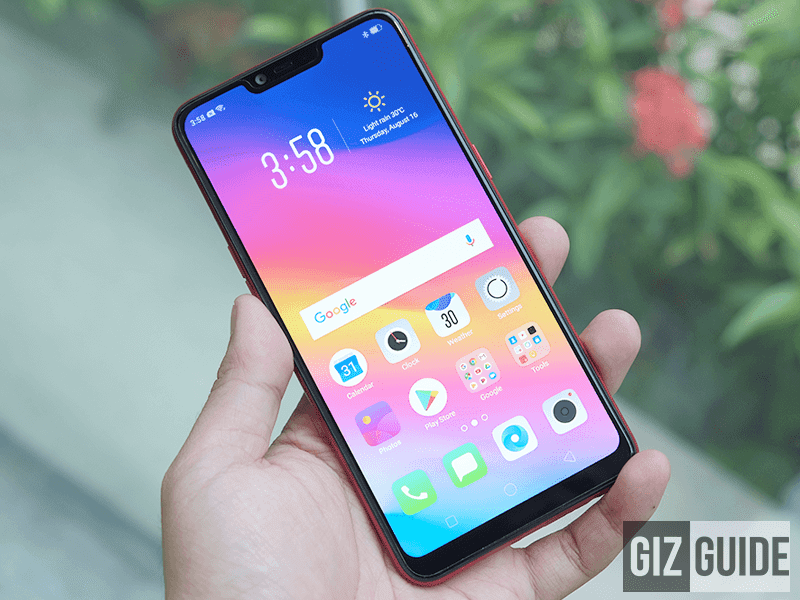 The features are the same found on the highly regarded OPPO F7. It is neater looking than the older versions of the ColorOS. Again, it doesn't look too iOS anymore. The swipe down for shortcut keys is back. 4. It has a 13MP f/2.2 + 2MP f/2.4 sensor at the back. The secondary sensor is for the depth or background bokeh effect. So far, so good for the price. It has an 8MP f/2.2 selfie shooter in front. As expected, it has the AI Beauty 2.0 tech like other newer gen OPPO devices. 5. The A3s has no LED notification. But, it has OTG and good 4G LTE connectivity. It has a gyroscope sensor as well. 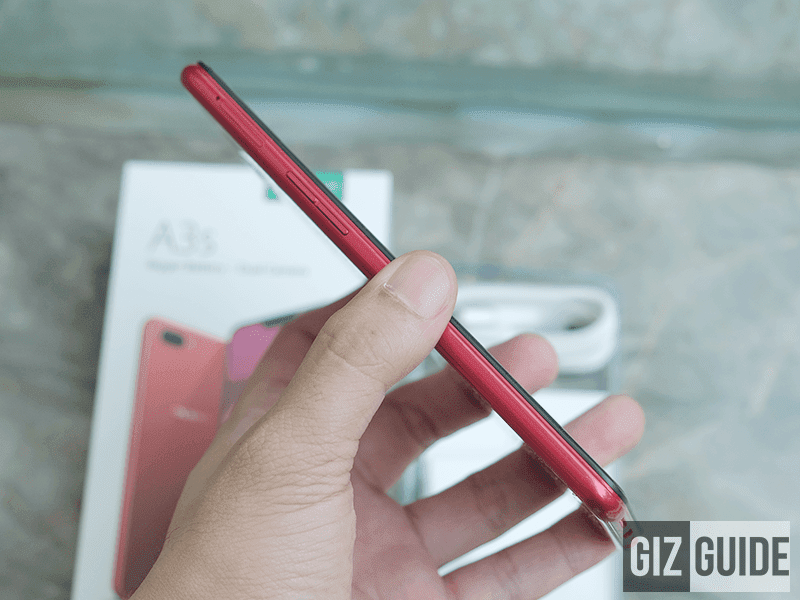 For me, the A3s is the best budget phone by OPPO yet. It looks beautiful, the screen is huge, speedy enough, the battery capacity is large, and the dual cameras are quite capable. It has the potential to be the best budget phone in the land right now. 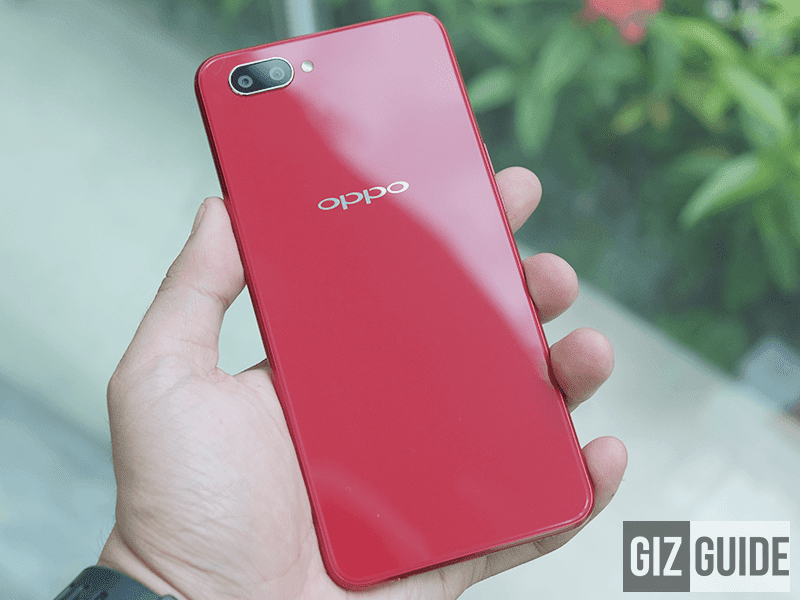 For our review: OPPO A3s Review - Battery CHAMP on a budget!